The sorority opened the first National Office in 1949 out of the need for a professional staff to help manage a growing organization in Chicago, in the Washington Park Bank Building. The sorority purchased its first permanent headquarters and second location in a four-story building at 5211 South Greenwood in October of 1952. The membership more than doubled between 1958 and 1978 and the services needed outgrew the location. At the 1978 Boule it was voted to sell the current building and support a new Capital Improvement Project (CIP). The CIP was launched with a goal of $1 million to increase the building fund so the new building would be debt free. 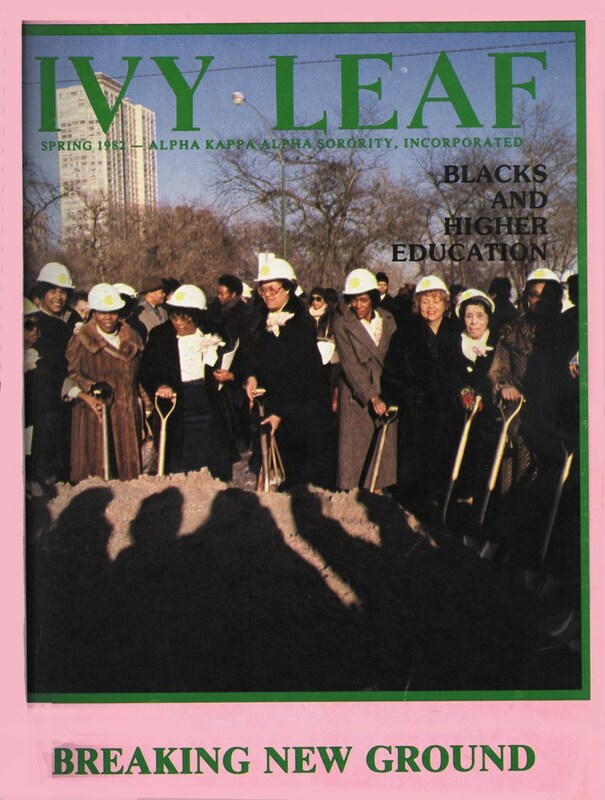 Chicago’s first woman mayor, Jane Byrne approved the land to be given to the sorority and wanted a group of women to have the property. The Ivy Center was built for sorority members and dedicated in July of 1985 — it was named by Founder Lavinia Norman. It was built originally as a two-story 16,800 square-foot building; more space was needed, and the Boule voted to add a third floor and storage area. A capital member assessment was imposed for the addition. The Corporate Office Improvement Project (COIP) assessed each member to ensure continual maintenance for the building. The Ivy Center was last renovated in 1992 when the third floor was completed. The building remains debt free. The International Building and Properties Committee formed a Corporate Office Renovation (CORP) team of the Supreme Basileus, directorate and Corporate Office staff to a process and timeline for a design/renovation of the Ivy Center began and construction started in October 2016 with the completion at the end of 2017. On Friday, May 4, 2018 the Ivy Center Ribbon Cutting and Open House was held in Chicago, IL.